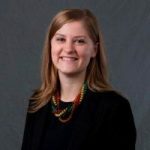 Guest post by Kirstin Yeado of Higher Expectations for Racine County, a StriveTogether Cradle to Career Network community. Data is a tool that should be used as a flashlight, not a hammer. This is one of the many lessons Higher Expectations for Racine County has learned from the StriveTogether Cradle to Career Network. Racine is home to several global manufacturing companies, like SC Johnson, that have been using continuous improvement for decades. Although the concept of “continuous improvement” — using data to identify challenges, make a plan and monitor progress — is not new to our business partners, it is relatively new to the education and social sectors both in Racine and throughout the county. Higher Expectations and Racine Unified School District (RUSD) are committed to building a culture of continuous improvement within our schools, and across the community, to improve outcomes for all students. In addition to rigorously using data to monitor programs, we are learning from the School District of Menomonee Falls (SDMF), where the use of continuous improvement processes has resulted in dramatic changes inside classrooms and across the district. In April 2017, after sending several RUSD teachers to SDMF’s Symposium on Continuous Improvement, Higher Expectations and RUSD hosted a Professional Learning Community event for teachers interested in applying continuous improvement practices in their own classrooms. 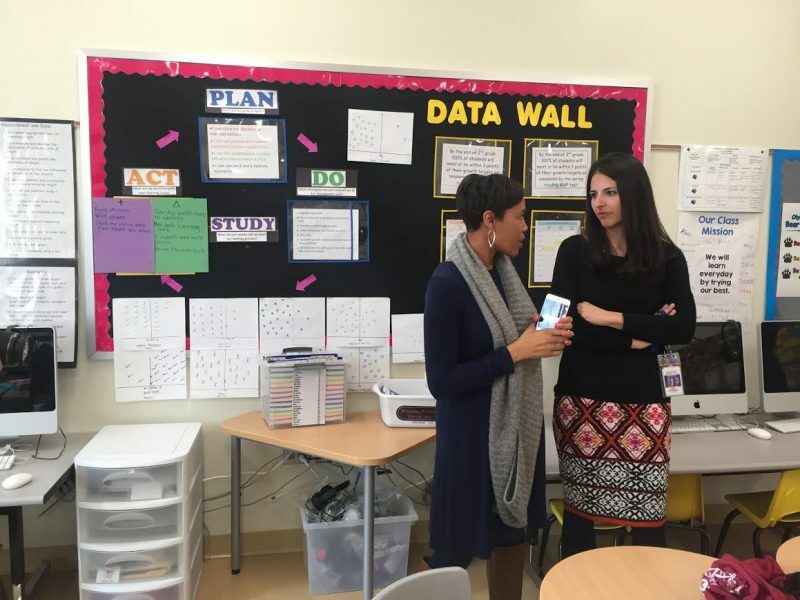 For an entire day, 17 teachers reflected on what they learned during the symposium, how they are already using data in their own classrooms and how they might continue to learn from one another as they apply new practices, like plan, do, study, act (PDSA) cycles, to drive student achievement. Continuous improvement is NOT another initiative. For decades, school districts — like many organizations — have added new initiatives, curricula and/or programs all aimed at improving student outcomes. Continuous improvement is not a new program to add to the already full plate educators face each day. Instead, it is a framework for monitoring the good work that is already happening and using data to make improvements over time. Continuous improvement keeps students at the center. In the classroom, continuous improvement means enabling students to use their own data to better understand what’s helping them learn and improve, and what’s not. 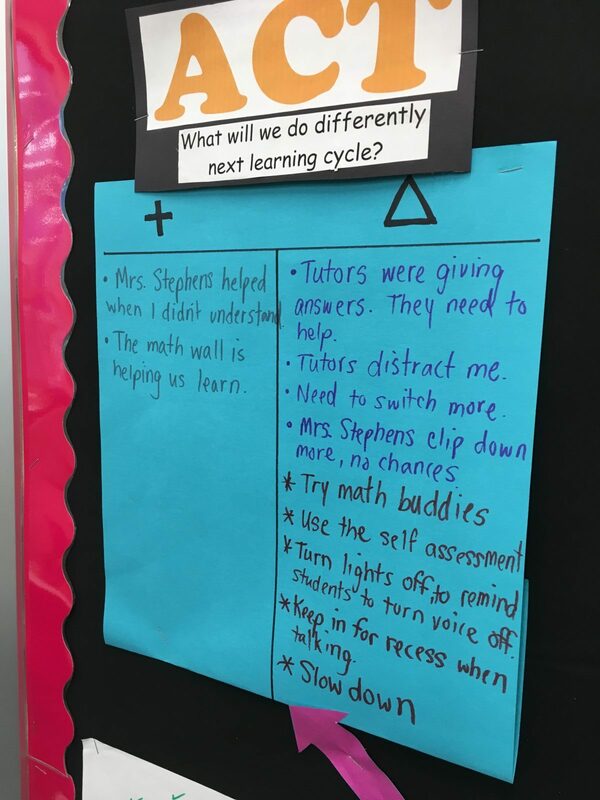 When teachers regularly track data, like test scores, and help students understand their own progress, kids begin to take ownership of their own learning and can set goals for themselves. 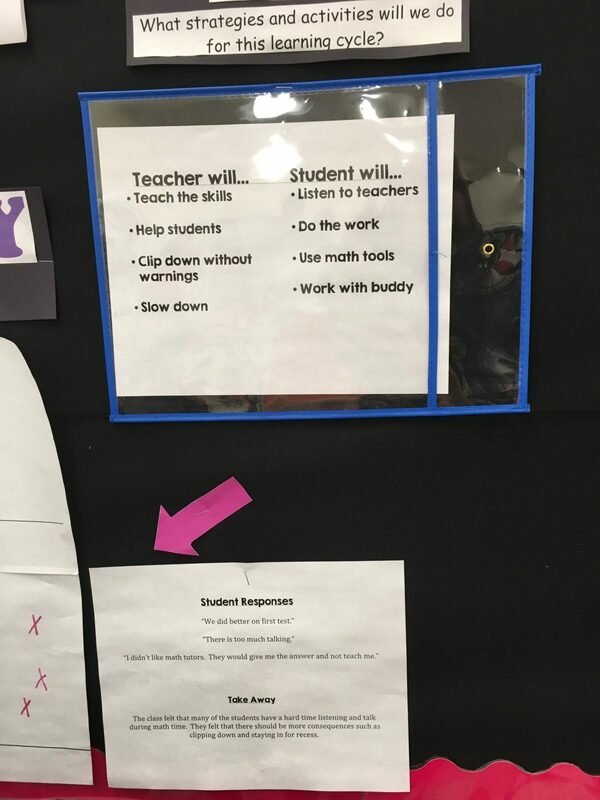 In classrooms with a culture of continuous improvement, feedback is a two-way street: teachers help students understand how they can master class material, and students provide feedback to teachers about the type of instruction that is most effective. Continuous improvement is an adaptive challenge. There is not a single tool or resource that will help teachers master continuous improvement. Instead, developing and applying these practices is a process that will be strengthened over time. The Professional Learning Community gives teachers the opportunity to learn and lead. Through the structure of a professional learning community, teachers are motivated by the support and participation from administrators, receive reinforcement by the similar work of their peers and are given time to collaborate and build common planning of continuous improvement practices. During the 2017-2018 academic year, Higher Expectations and RUSD will scale up training efforts to help teachers across the district begin to apply continuous improvement practices in the classroom. By using data as a flashlight in our classrooms, we believe that we will begin to uncover the practices that are working and improve outcomes for all students in RUSD. Kirstin Yeado is the community impact manager at Higher Expectations for Racine County, which engages community partners, aligns efforts and maximizes resources to promote excellence and equity in education and employment outcomes in Racine County.